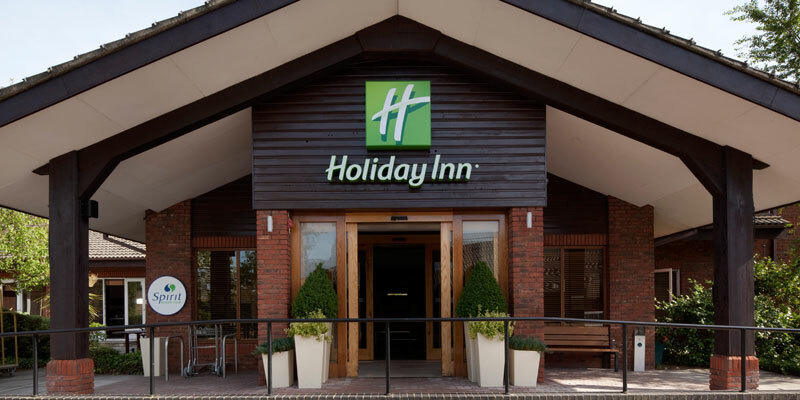 The Holiday Inn Guildford is the perfect place to stay near Chessington. Less than 20 miles from the park, the hotel offers fantastic facilities including a swimming pool, fully-equipped gym and beauty treatment rooms to help you unwind. For the kids, there are plenty of fun activities on offer, such as the Nintendo Wii room, pay per view movies and even free milk and cookies. What's more, kids under 12 eat free when dining with a paying adult. The earliest check in time is 2pm, and the latest check out time is 12pm. Unfortunately this hotel does not offer a luggage drop service. For children, the pool is open until 7pm (8pm during the holidays). The hotel offers extensive facilities in its Spirit Health and Fitness Club, including indoor pool, spa, sauna, steam room, jacuzzi, air-conditioned gym and beauty treatment rooms (chargeable). What extras does the hotel offer? There is 1 accessible room available in this hotel, but the whole hotel is not fully accessible as there is no lift. 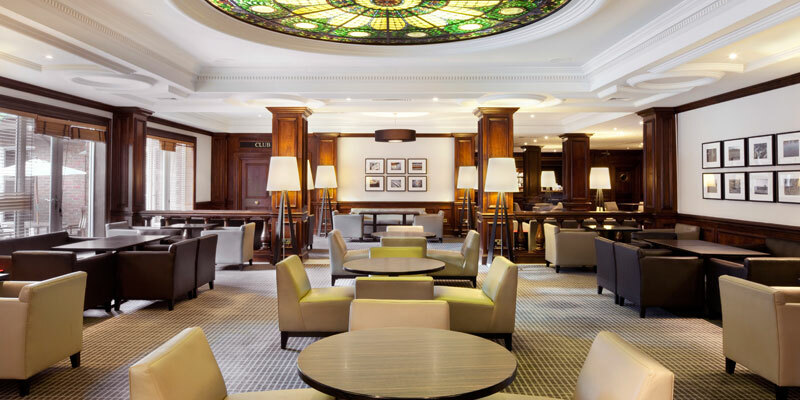 You can also call the hotel directly on 01483 784413. All guests wake up to a delicious buffet breakfast. The Junction Restaurant serves lunch and dinner in contemporary surroundings. The hotel offers 24 hour room service, with a tray charge of £3.50. The hotel offers a Kids Go Free offer on dining. With 1 adult, 2 children can dine for free, and with 2 adults, 4 children can dine for free. Available for children up to 12yrs of age. There are two different types of room available. 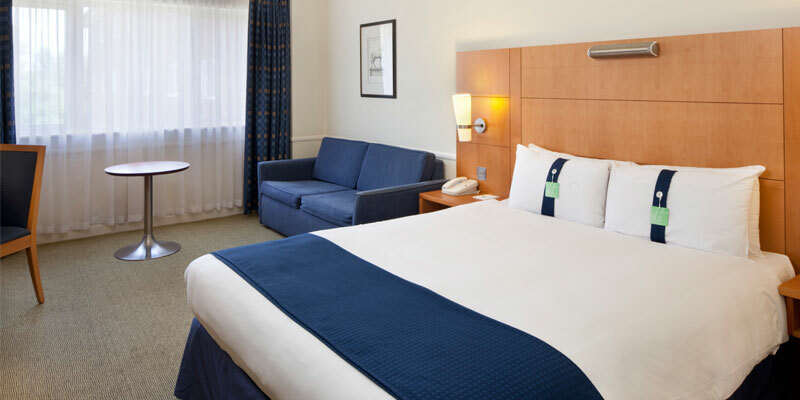 Triple rooms will consist of a double bed and a double sofa bed. Family of 4 rooms will consist of a double bed and a double sofa bed. From the M25: Exit at junction 10 and follow the A3 to Guildford. Exit at the exit sign for the Research Park and Onslow Village. At the first roundabout, take the 3rd exit and at the 2nd roundabout, take the 2nd exit. From the South: Take the A3 to Guildford and exit at the signpost for the Research Park and Onslow Village. At the roundabout take the first exit. 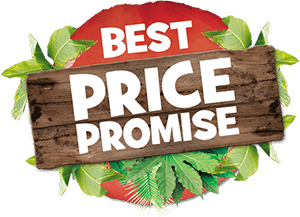 The hotel is situated 17.5 miles away from Chessington World of Adventures, and 1.4 miles away from Guildford train station.